Sunny and cool with some clouds. Temperatures ranged from 2 to 15 degrees Celsius; there was a light wind primarily from the southwest all day. 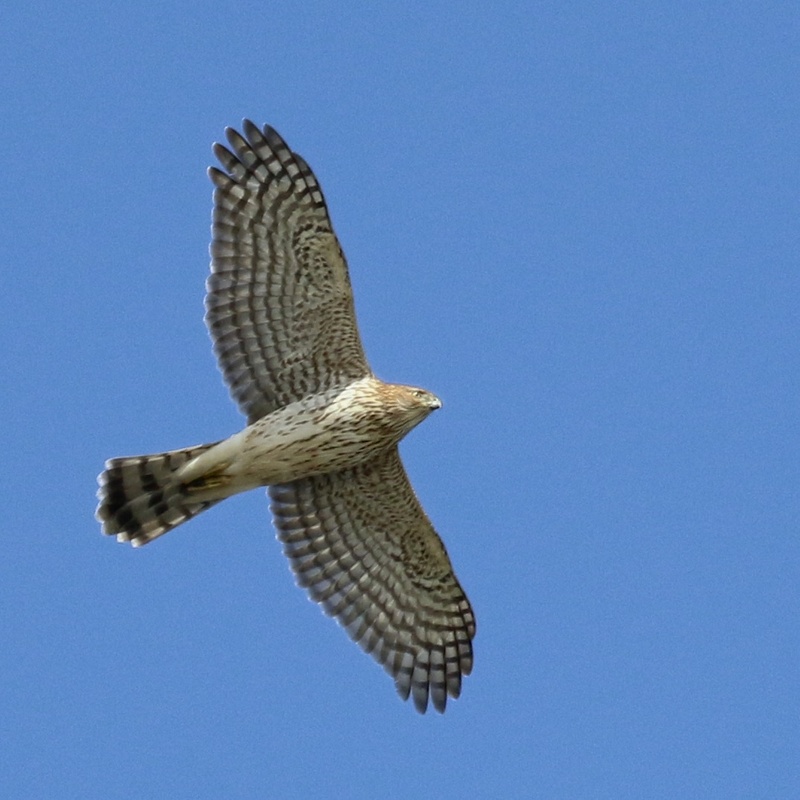 One female Northern Harrier, and Red-shouldered Hawks included 3 unknown, 2 adults, and one immature. Non-raptor species: American Robin (57), Cedar Waxwing (23), Blue Jay (27), White-breasted Nuthatch (1), American Crow (13), Tufted Titmouse (5), Eastern Bluebird (4), Yellow-rumped Warbler (5), American Goldfinch (7), Mourning Dove (6), Common Raven (3), Red-bellied Woodpecker (1), Pileated Woodpecker (1), Yellow-bellied Sapsucker (1), Canada Goose (25), Dark-eyed Junco (15), Black-capped Chickadee (4). Wow! Super Shorebirds at 6 1/2 Station Road! I had an unproductive morning of birding today; I was hoping that perhaps some waterfowl had moved into the area. 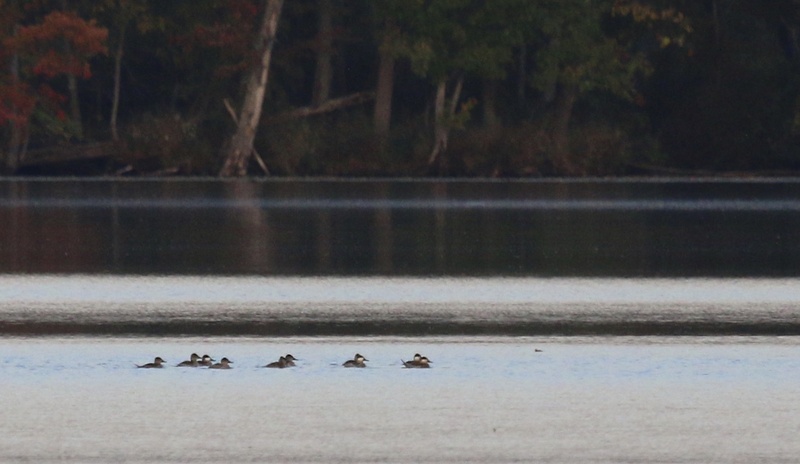 The I checked Glenmere Lake and Wickham Lake and only found a pair of Ruddy Ducks at Wickham and a single Greater Scaup at Glenmere. I went home disappointed and then headed back out in the afternoon, unsure where to go. 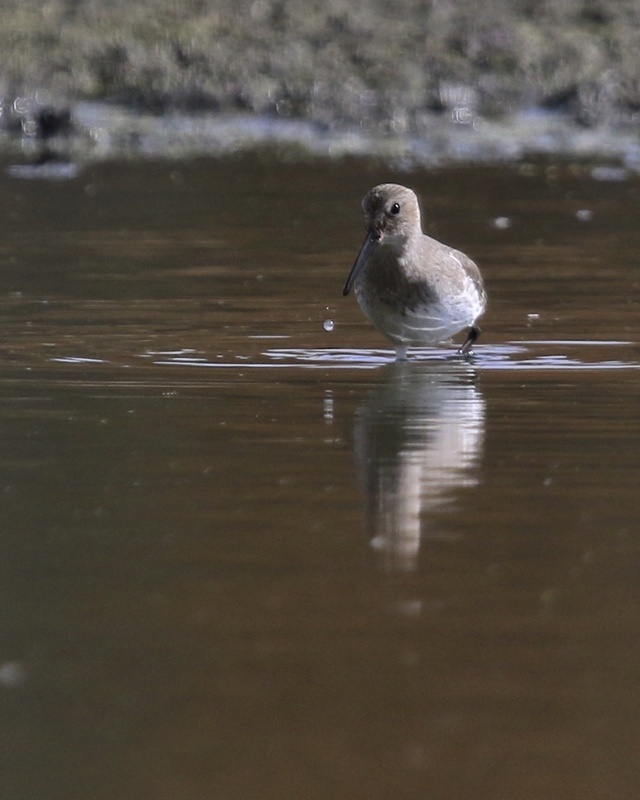 I decided to check 6 1/2 Station Road Sanctuary – Citgo Pond for shorebirds, and I’m so glad I did. 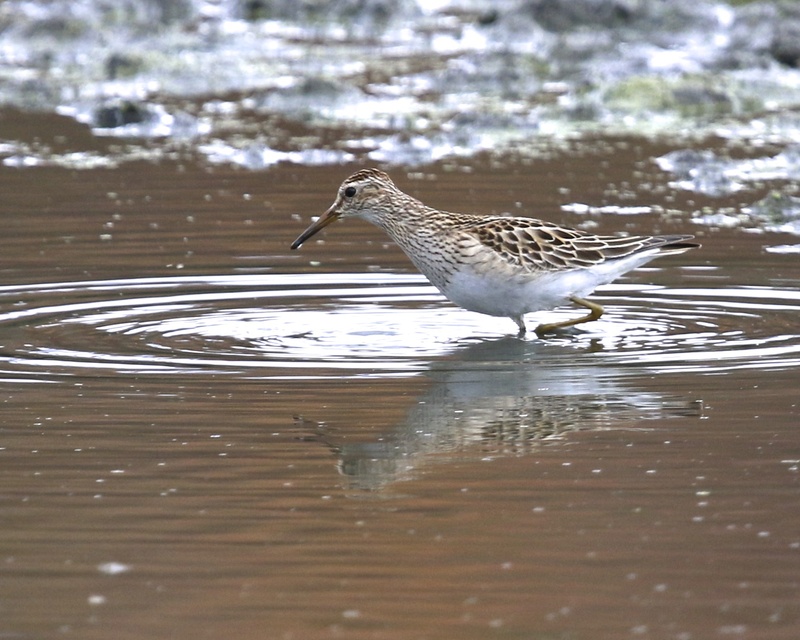 Upon my arrival to the pond, I immediately located a DUNLIN and what I thought were three Pectoral Sandpipers. 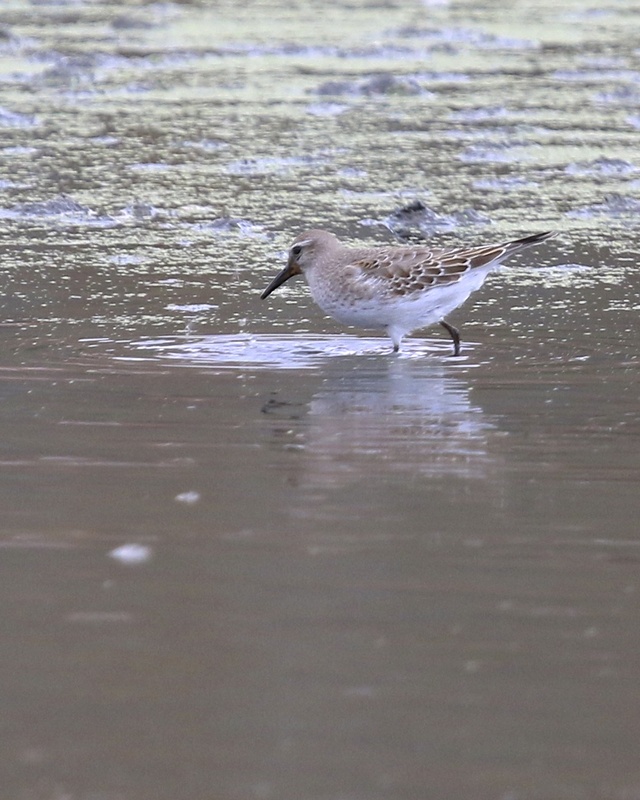 I put the word out and took many photos, particularly of the Dunlin. Two of the “Pectorals” were not sitting right with me, but I couldn’t think what else they might be. I took some photos of the birds so that I could verify later, and it wasn’t until later in the evening when I looked at my photos that I saw that they might be RED KNOTS! I was so excited! 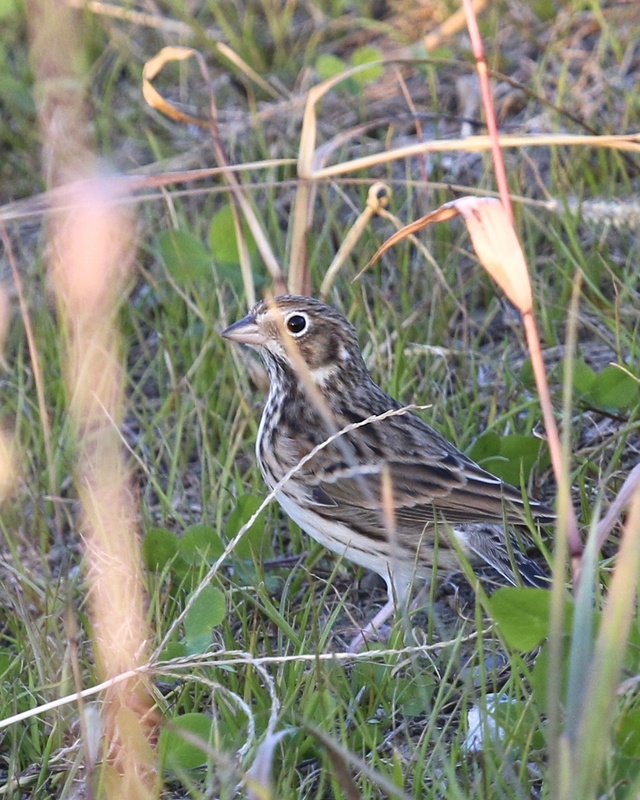 I really wish I had been able to identify them in the field, but I was not expecting this at all, so I was happy to have gotten the photos. Great birding! 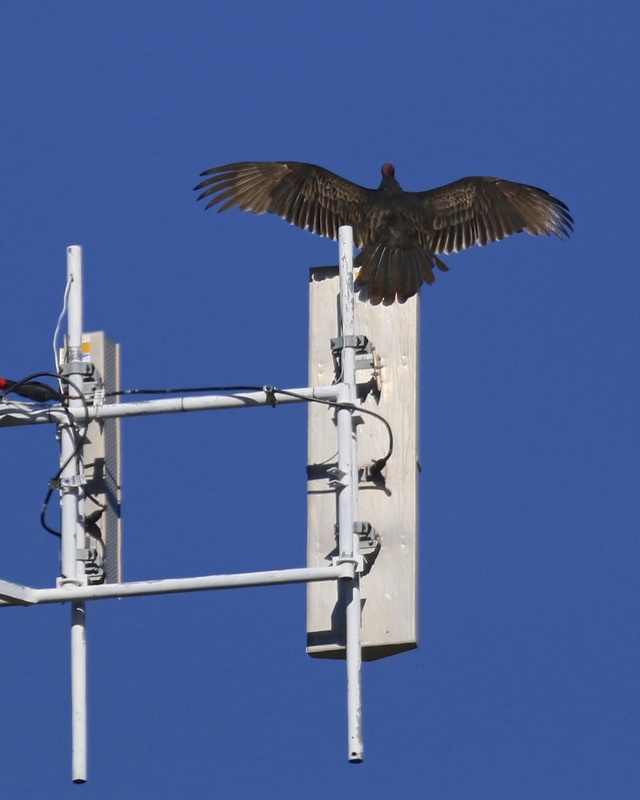 UPDATE 10/29/15: After receiving a couple of comments on this post questioning the identification of the two birds below, it was time to take another look and try to get it right. 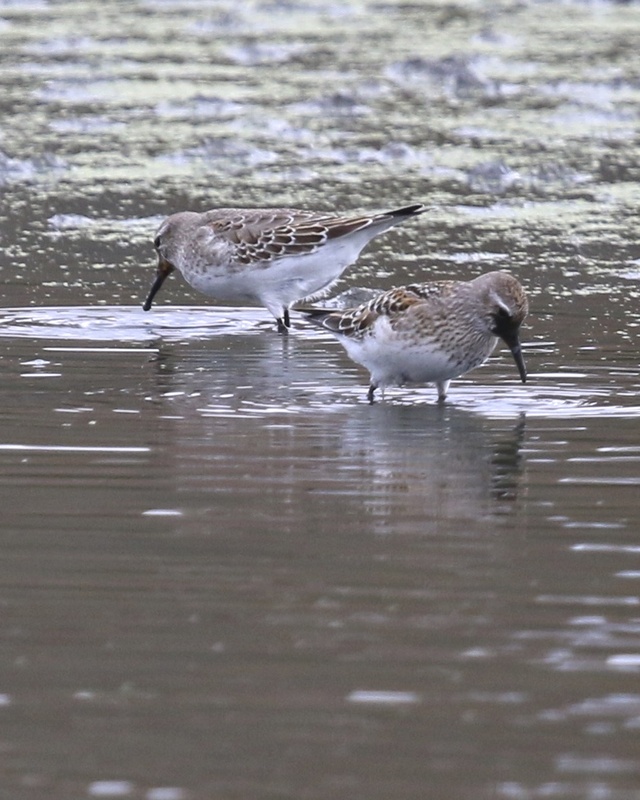 Both commenters believe that the birds are White-rumped Sandpipers rather than Red Knots. 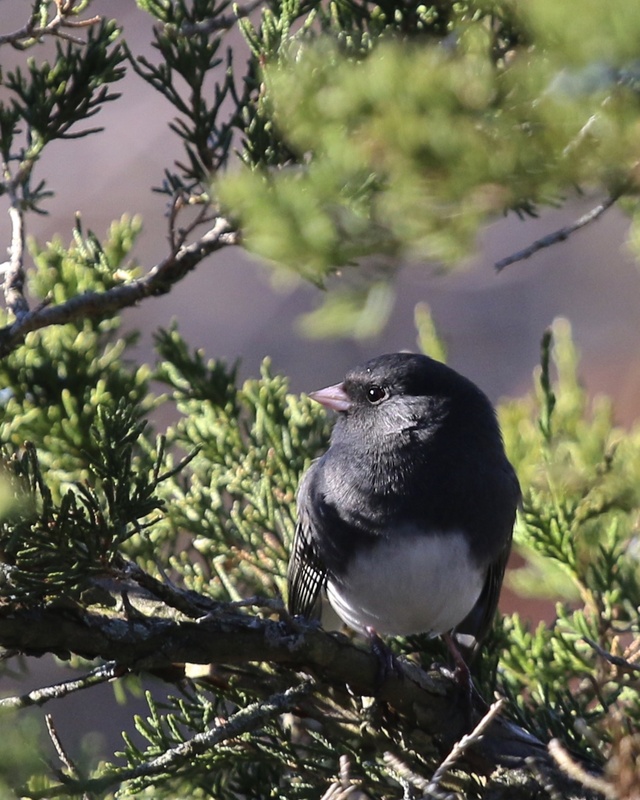 So last night I put my photos on the New York Birders Facebook page, where I only got one response, which also identified the birds as immature WRSAs (but importantly no comments disagreeing with this). I initially considered WRSA for these birds, but ruled them out based on size, so I was confused. I turned to The Shorebird Guide by Michael O’Brien, Richard Crossley, and Kevin Karlson. The last two pages of the book contain silhouettes which depict the relative sizes of shorebirds. 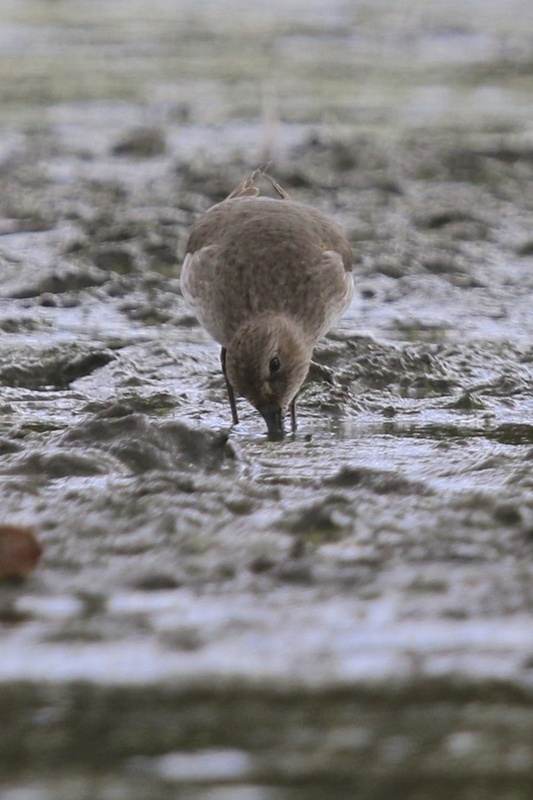 Looking at the silhouettes, it became clear that I should have actually ruled out Red Knots, based on their size rather than the opposite. It’s, of course, no fun to be wrong, but I believe that White-rumped Sandpiper is an accurate ID, so I’m happy to hopefully get it right. Thanks to Rosemarie and Christopher for their comments which got this started. 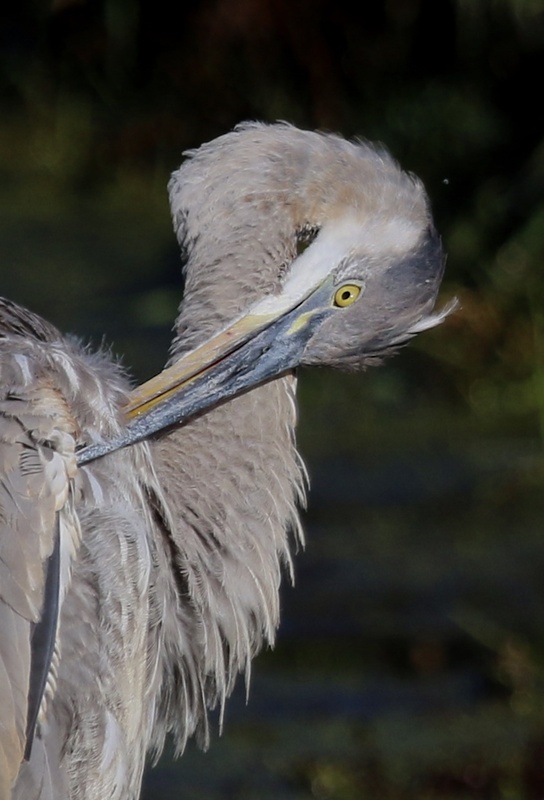 Author mattzeitPosted on October 25, 2015 October 29, 2015 Categories 6 1/2 Station Road Sanctuary, Orange County, Rarities, Walking Waterbirds13 Comments on Wow! 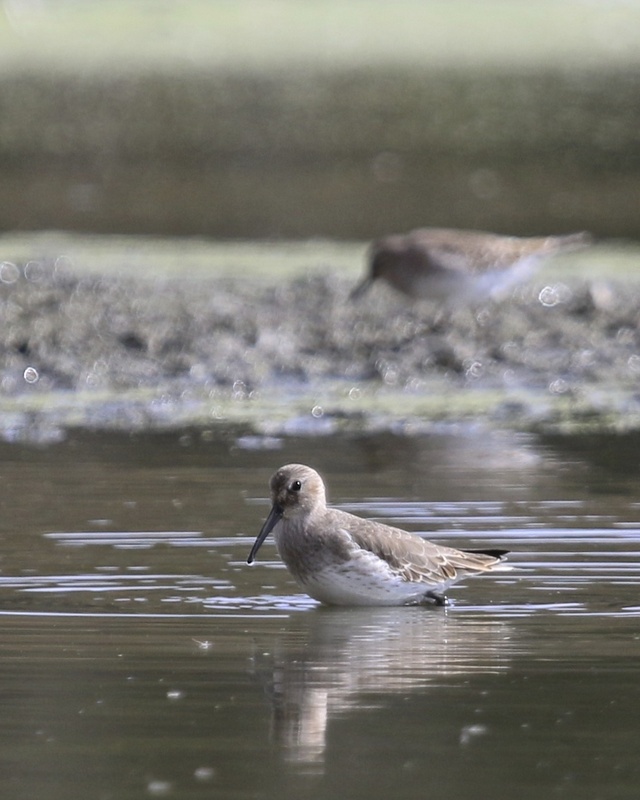 Super Shorebirds at 6 1/2 Station Road! Kyle Dudgeon, Karen Miller, Diane Bliss, Linda Scrima, and Ryan MacLean. Cloudy and cool with temperatures starting at 3 degrees Celsius and rising to 11 degrees. There was a northeast wind for most of the day, which shifted to southwest in the afternoon. 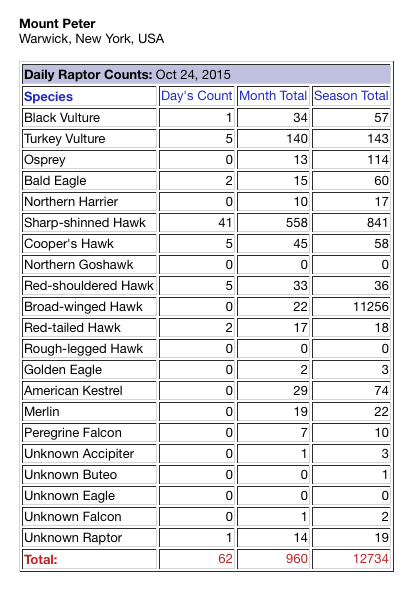 Migrating Raptors: (2) Adult Bald Eagles. 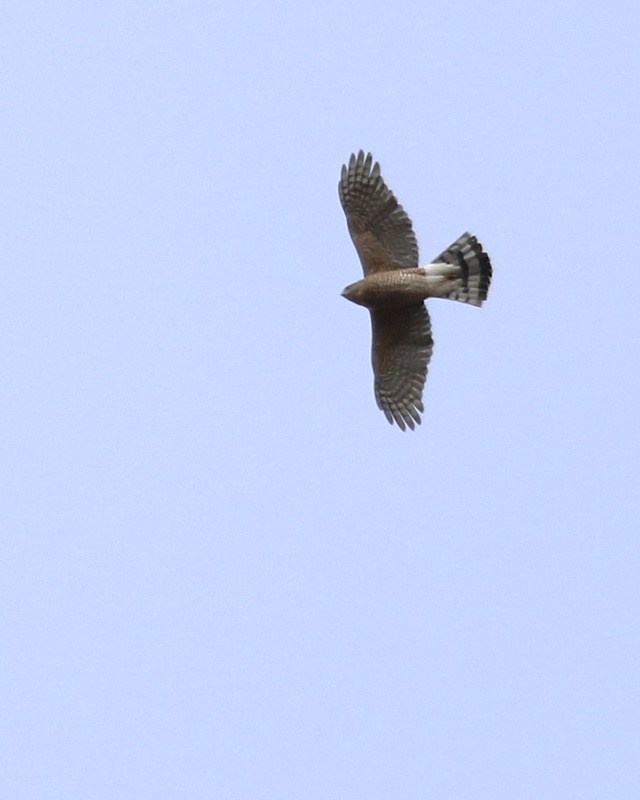 Red-shoulded Hawks included (2) adult, (1) immature, and (2) unknown. 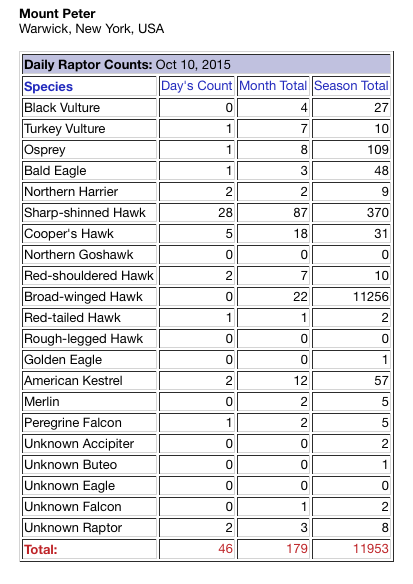 Non Migrating Raptors: (1) Adult Bald Eagle flew northeast. American Robin (25), Blue Jay (18), American Goldfinch (7), Black-capped Chickadee (5), Tufted Titmouse (2), Eastern Bluebird (3), American Crow (12), Yellow-rumped Warbler (12), Northern Cardinal (1), Common Raven (5), Dark-eyed Junco (10), Ring-billed Gull (2), Canada Goose (18), Pileated Woodpecker (1), Northern Flicker (1), and Rock Pigeon (3). As I left Mount Peter Hawkwatch this evening after work, I received a call from Rob Stone. 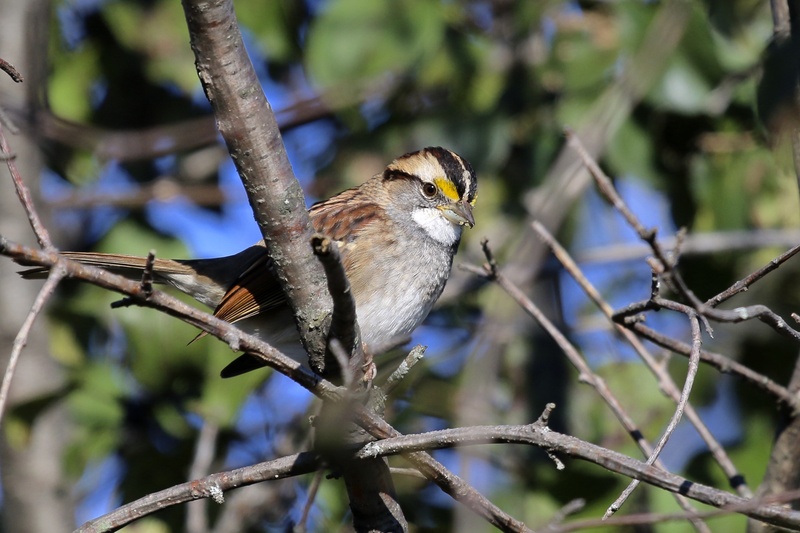 He had several VESPER SPARROWS in the area near Wickham Woodlands Town Park earlier in the day. I was heading to the park already, so I went to check it out. 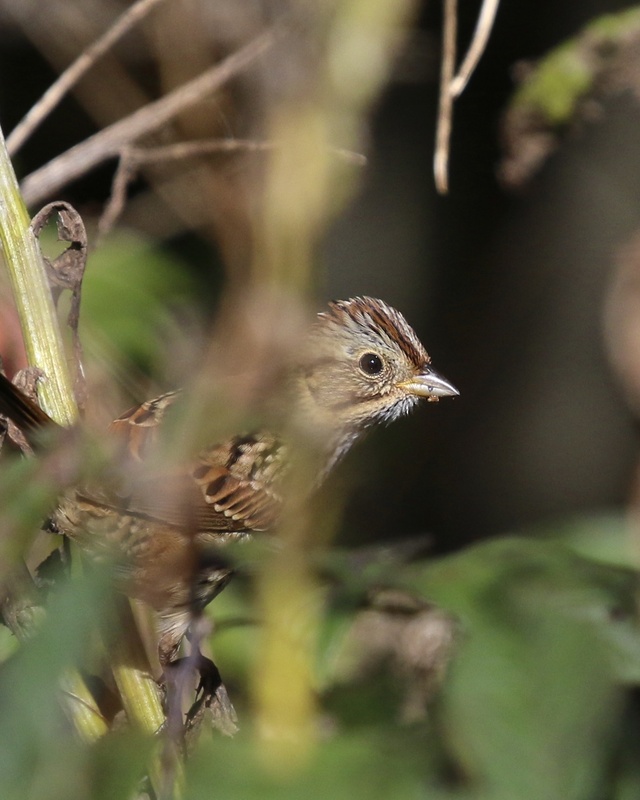 After a little bit of searching, and just before the sun got too low for photos, I located one and then two Vesper Sparrows, skulking in the grass. 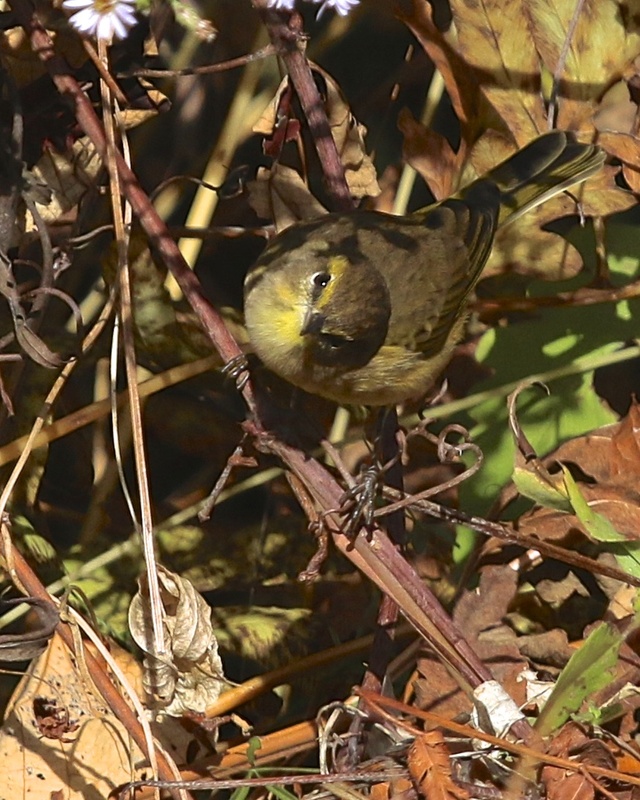 The bold eyering was seen very easily, even without binoculars. 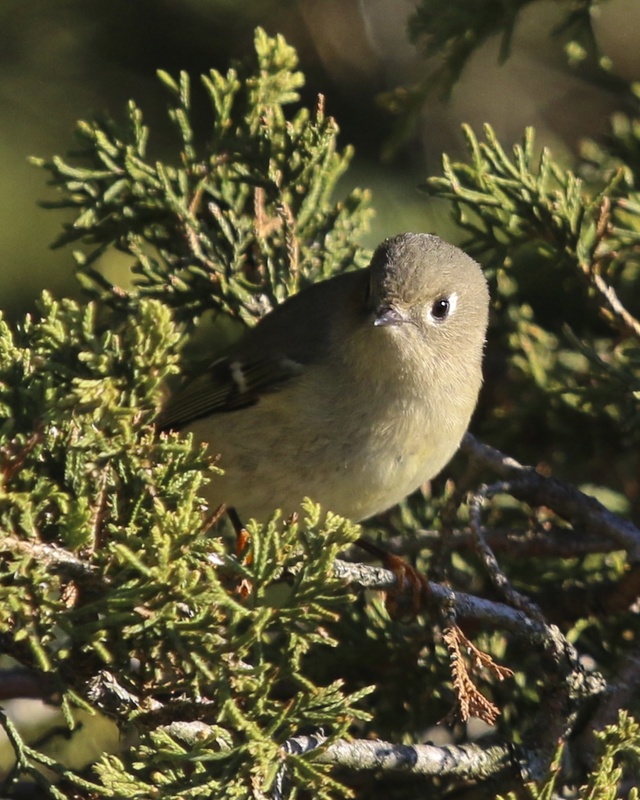 In my photos, other identifying features can also be seen: white outer tail feathers on a fairly short tail, large bill, and pale-centered dark ear coverts. 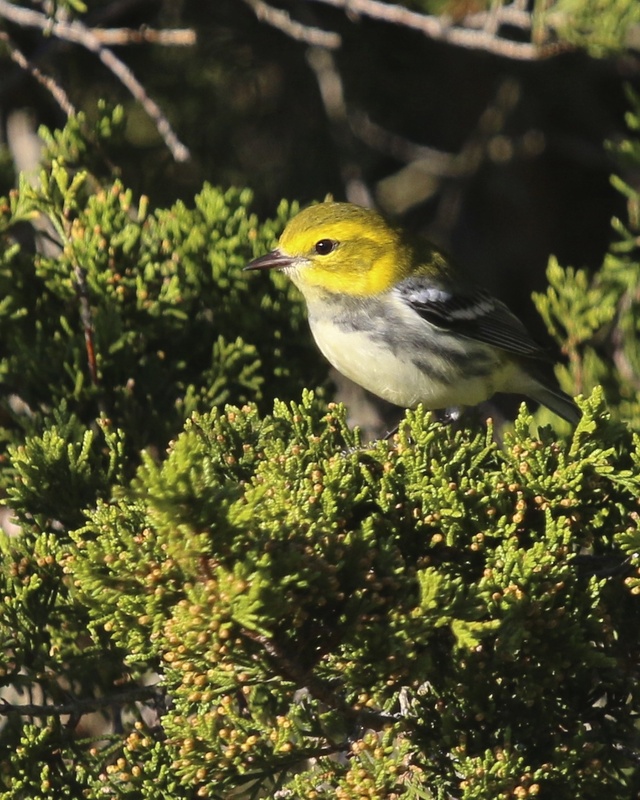 I mistakenly thought that this was a life bird, but when I got home I entered the observation into eBird and I saw that I had one when I was in Colorado back in 2013! 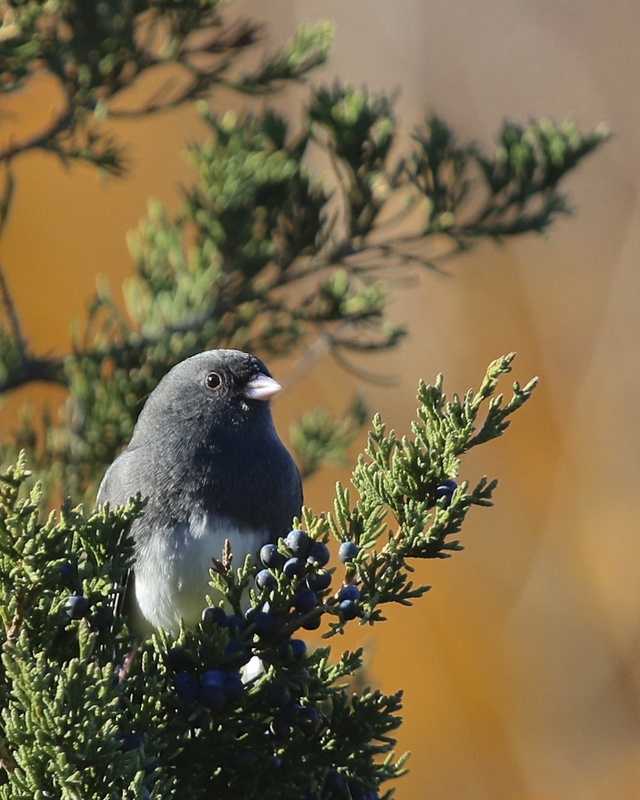 I can barely remember that bird and I was unable to get photos, so today was much more fulfilling since I got such good looks and photographs too. 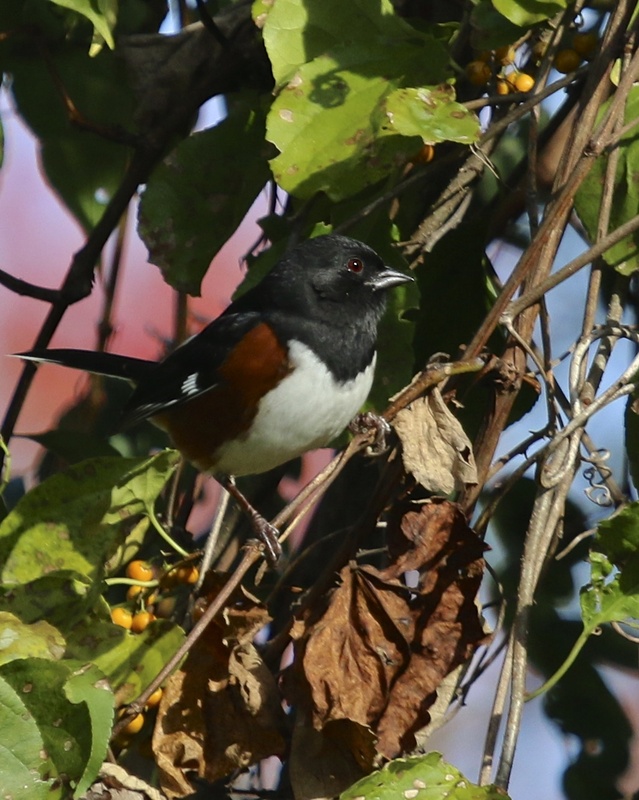 Plus, it is nice to be able to add the bird to my Orange County year list and life list. Huge thanks to Rob Stone for the heads up! 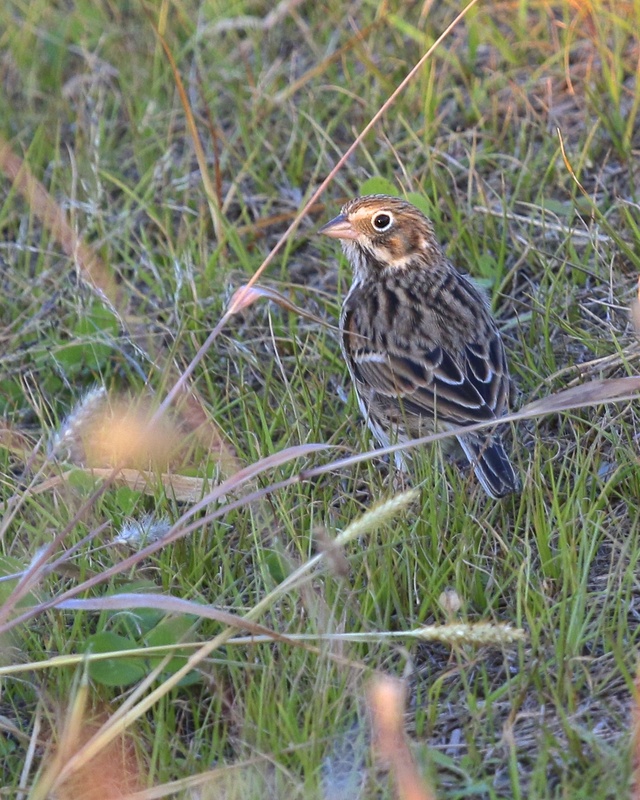 Author mattzeitPosted on October 20, 2015 Categories Orange County, Songbirds10 Comments on Orange County VESPER SPARROW! QUICK POST: Here are a few shots from this morning when I walked Liberty Lane and part of Winding Waters Trail at the Walllkill River National Wildlife Refuge. It was an unremarkable morning bird-wise. There were enough birds around to keep me entertained (mostly sparrows, of which I had 5 species: Song, White-throated, White-crowned, Swamp, and Field), but I mostly just enjoyed a walk in the cool crisp weather. Wow! Mount Peter GOLDEN EAGLE! 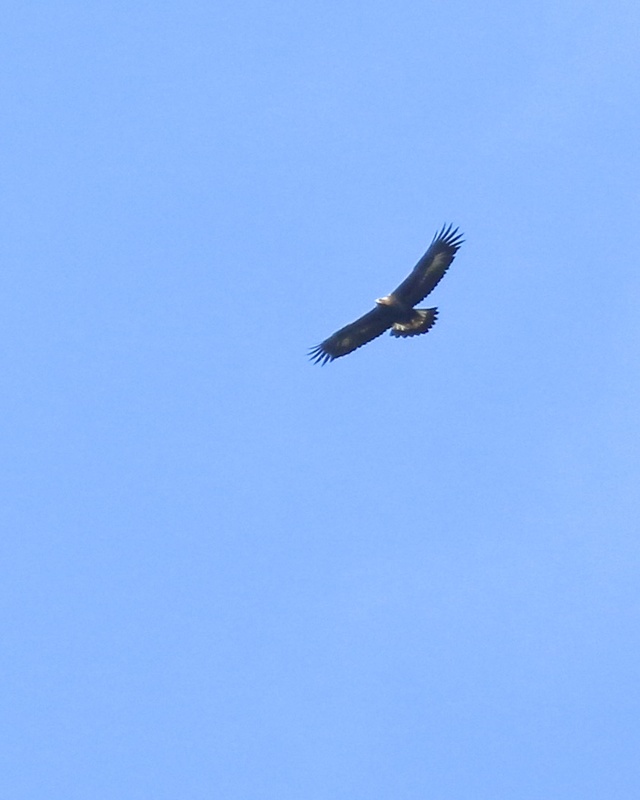 Wow, great day at Mount Peter Hawkwatch for me – I finally got a GOLDEN EAGLE! 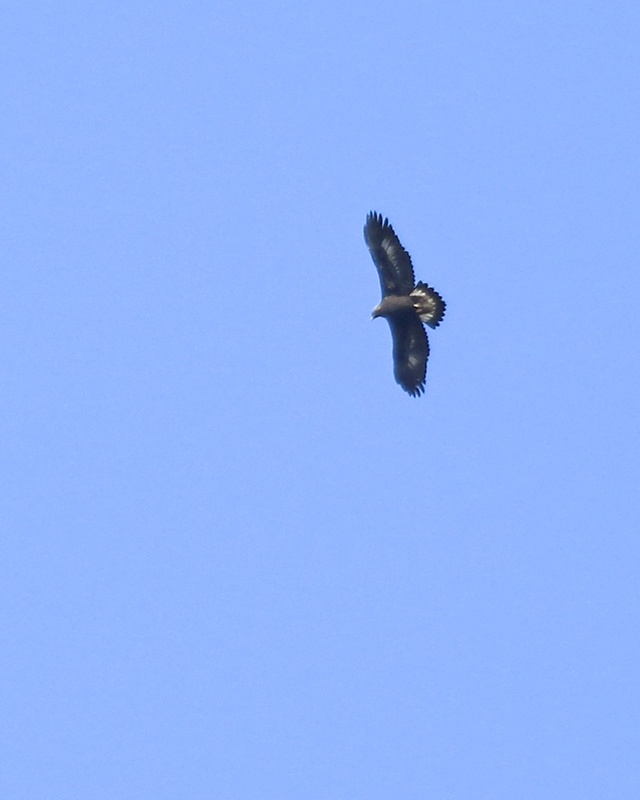 This is the first one I have seen at Mount Peter, and it was by far my best look ever at a Golden Eagle. 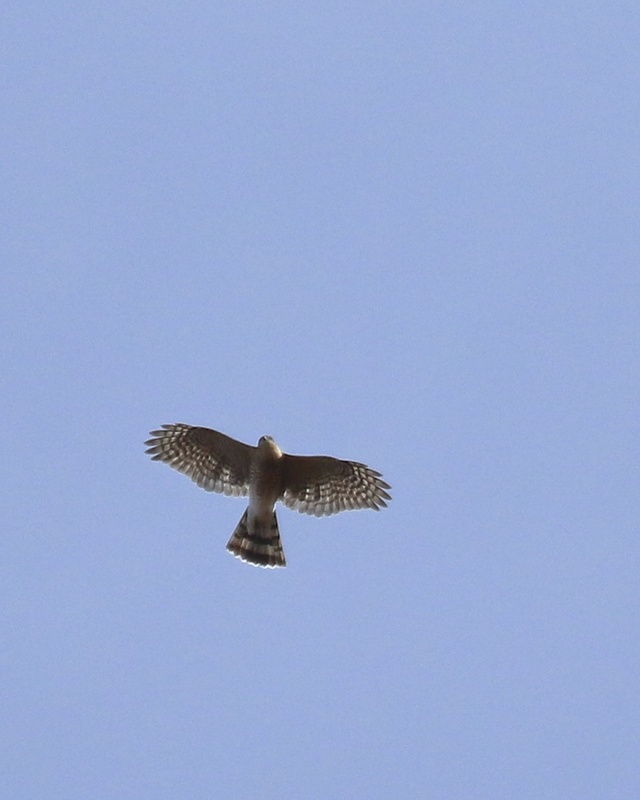 I located a large raptor to the northwest of the viewing platform. 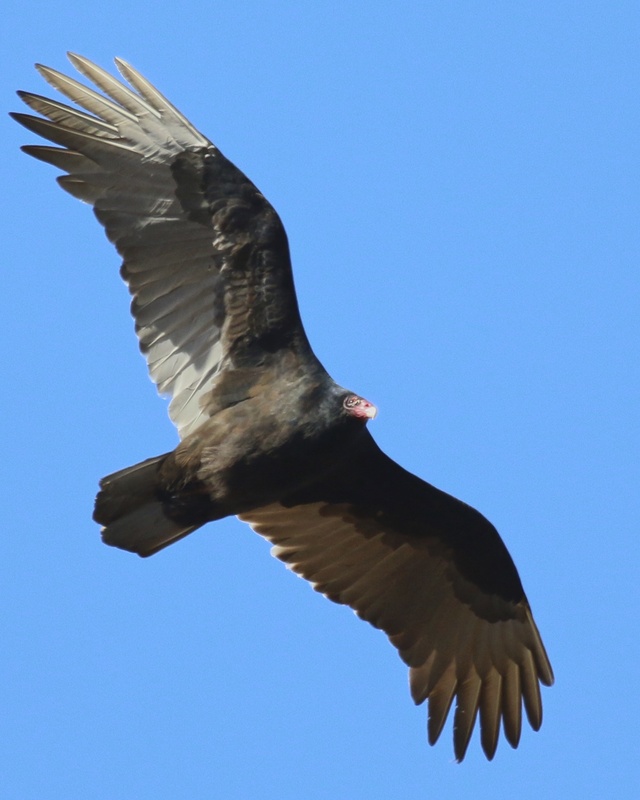 In my binoculars I could not determine what it was, I was thinking possibly a vulture. I got the bird in my spotting scope and it became clear that it could possibly be a Golden. 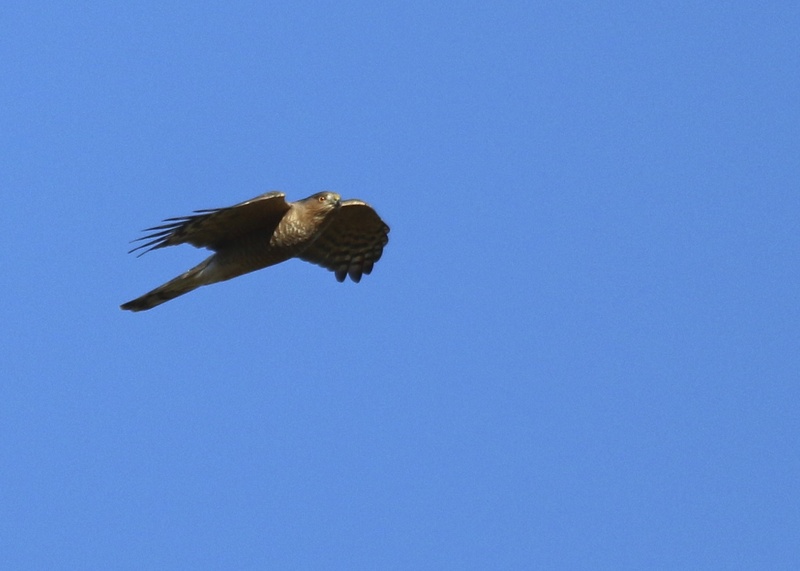 The bird worked its way closer to the platform, still quite high up, but in great light. I was so excited, I didn’t even know what to do with myself! I knew that I needed to photograph it to document it at least, even if the bird was a bit too high for great pics. 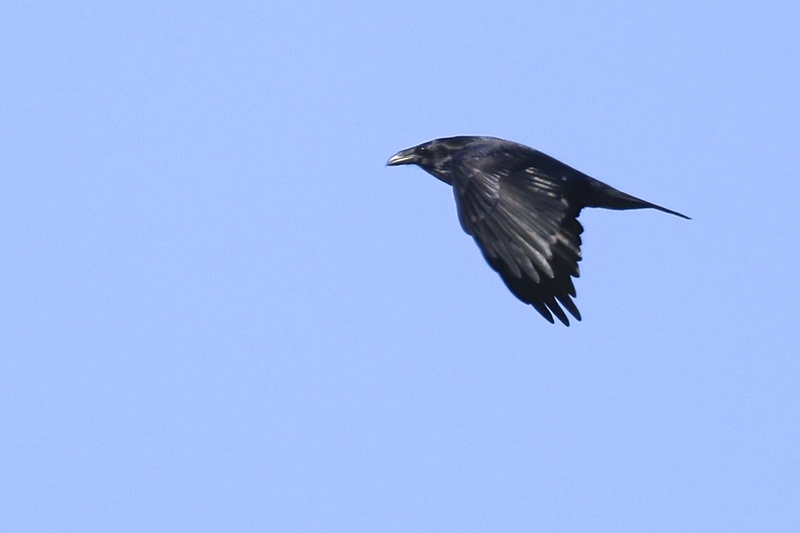 The remainder of the watch was pretty good too, I had 71 migrating raptors including 2 immature Bald Eagles, 4 Red-shouldered Hawks, and 5 (!) 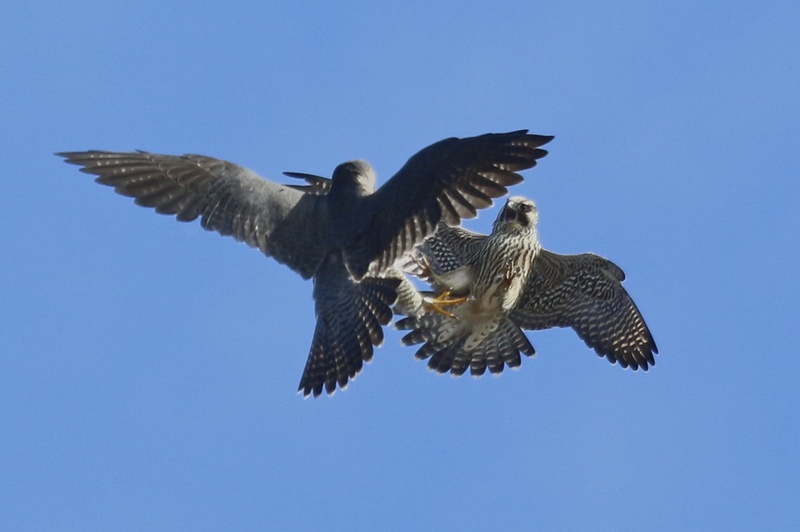 Merlins. See below for my complete report from the day. Richie Freud, Mike X, and Fred and Donna Paley from York, Pennsylvania, and who are currently doing a tour of Hawkwatches. They spent the morning at Scott’s Mountain in Harmony, New Jersey. Sunny with some clouds with a steady wind from the northwest. Temperatures ranged from 4 to 9 degrees Celsius. 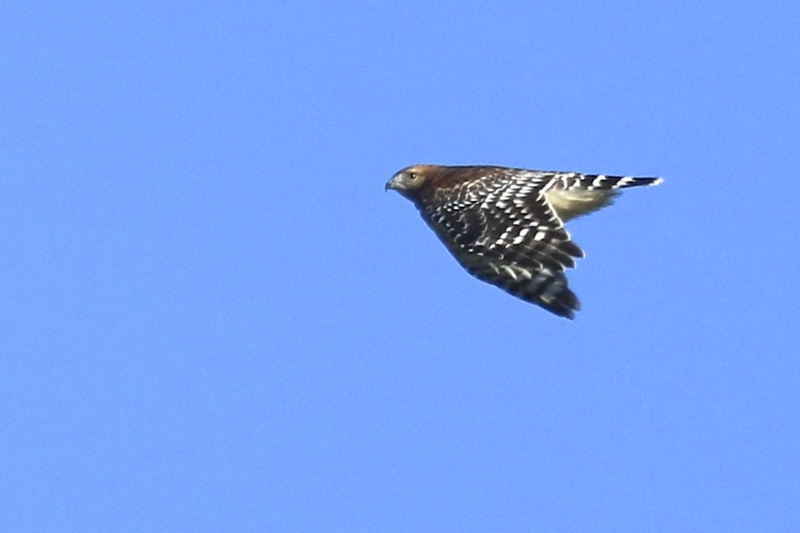 Migrating Raptors: (2) Immature Bald Eagles, (1) immature Northern Harrier, (1) adult Red-shouldered Hawk, (1) immature Red-shouldered Hawk, (2) unknown Red-shouldered Hawks, (1) unknown American Kestrel, and the highlight of the day, at 10:20 EST, (1) immature GOLDEN EAGLE was spotted to the north of the viewing platform, soared just to the left of the platform and then headed southwest. 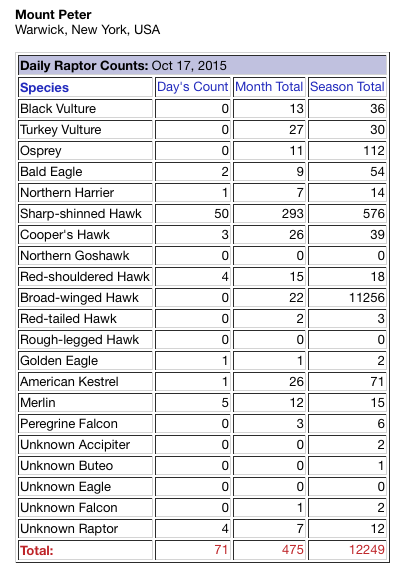 Non-migrating raptors included (2) adult Bald Eagles; one headed north, the other northeast. 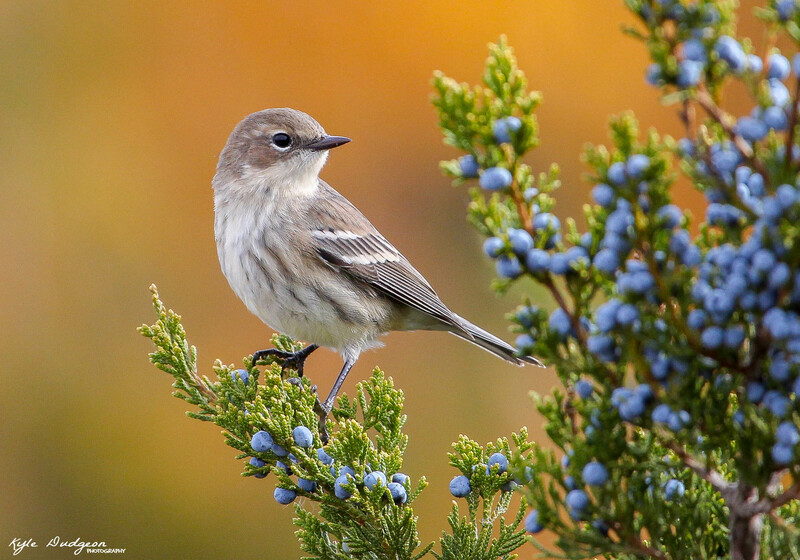 Non-raptor Species: Eastern Bluebird (2), Blue Jay (15), American Robin (6), Common Raven (6), American Goldfinch (3), Yellow-rumped Warbler (3), Cedar Waxwing (2), Black-throated Green Warbler (1), Ring-billed Gull (1), Northern Flicker (1), European Starling (75), American Crow (10), and Canada Goose (812). 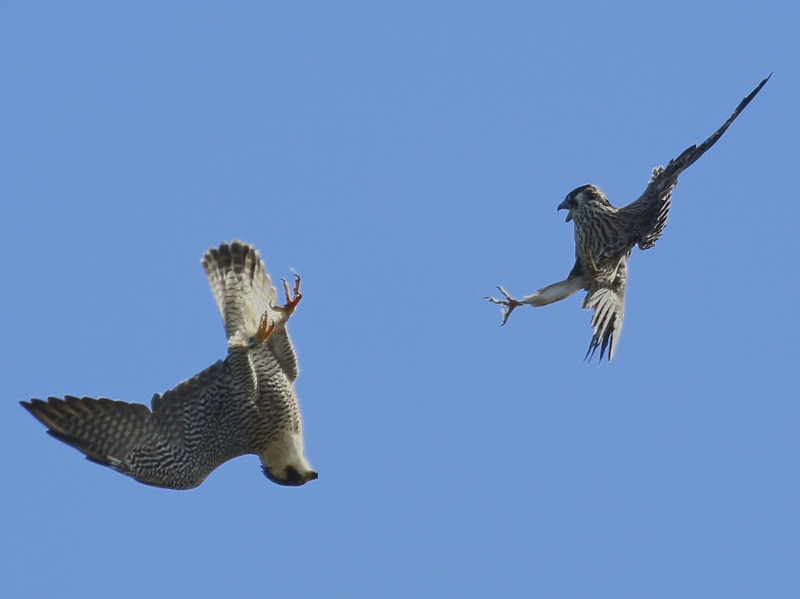 Author mattzeitPosted on October 17, 2015 Categories Orange County, Raptors, Rarities15 Comments on Wow! 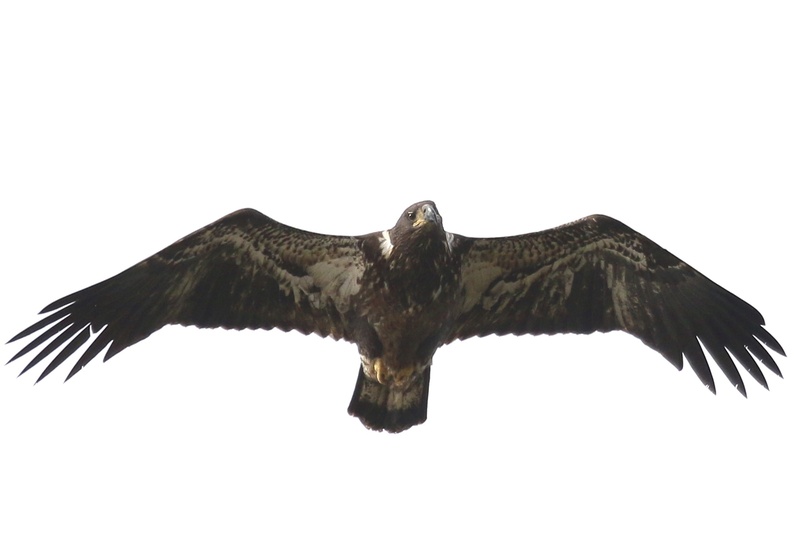 Mount Peter GOLDEN EAGLE! QUICK POST: I birded Wickham Woodlands Town Park once again this morning, and it was quite birdy. I walked for over two hours and had 37 species for the morning. 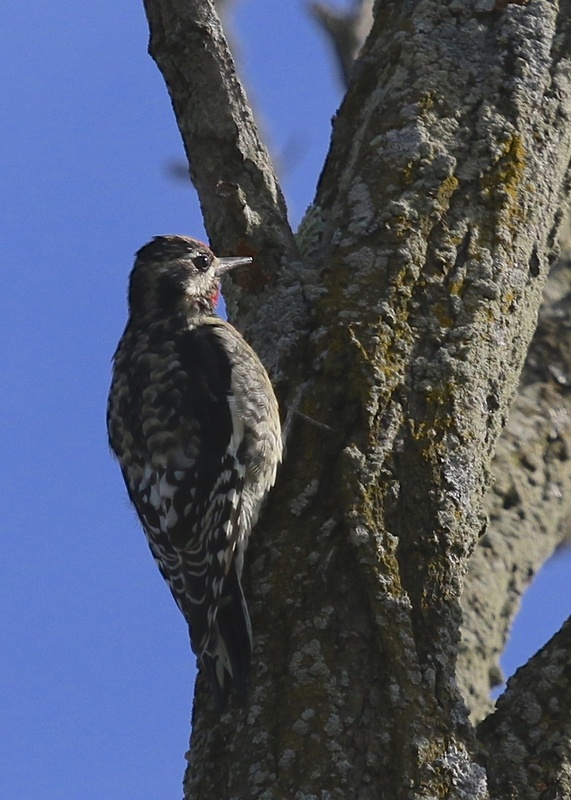 I had all six of the expected woodpeckers for our area; I was especially happy to see and get a shot of a Yellow-bellied Sapsucker. 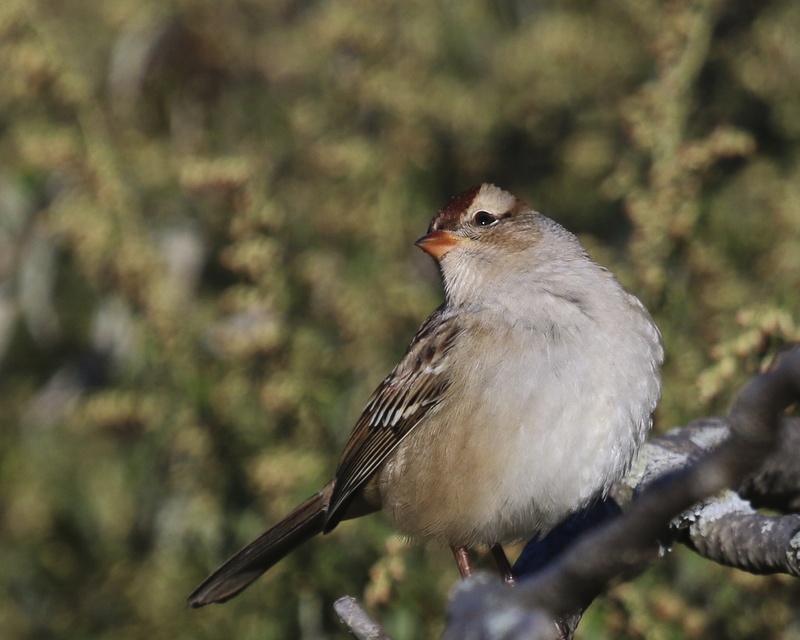 Sparrows were not numerous, but I did get 2 White-crowned, 4 White-throated, and 1 Lincoln’s Sparrow. 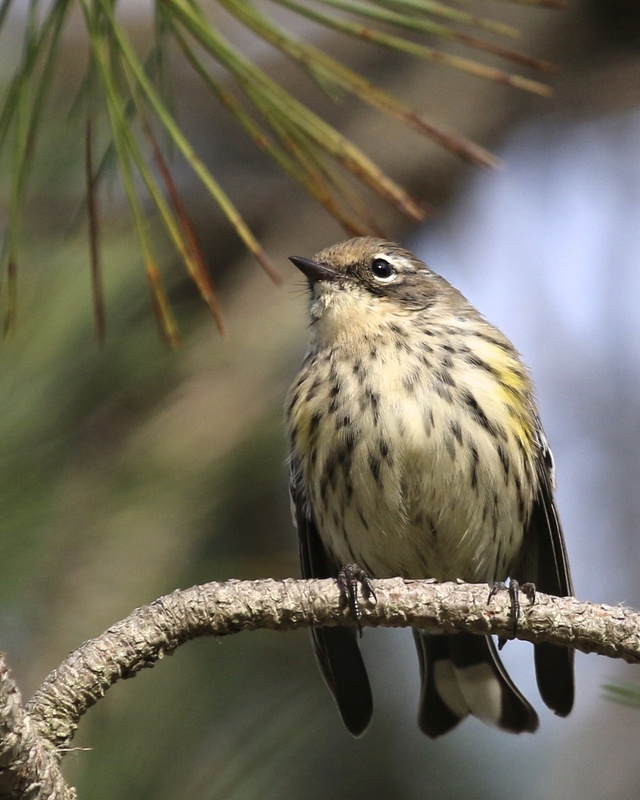 Other highlights included more Yellow-rumped Warblers than I could possibly count, a single Palm Warbler, a Black-throated Blue Warbler, and both kinglets. 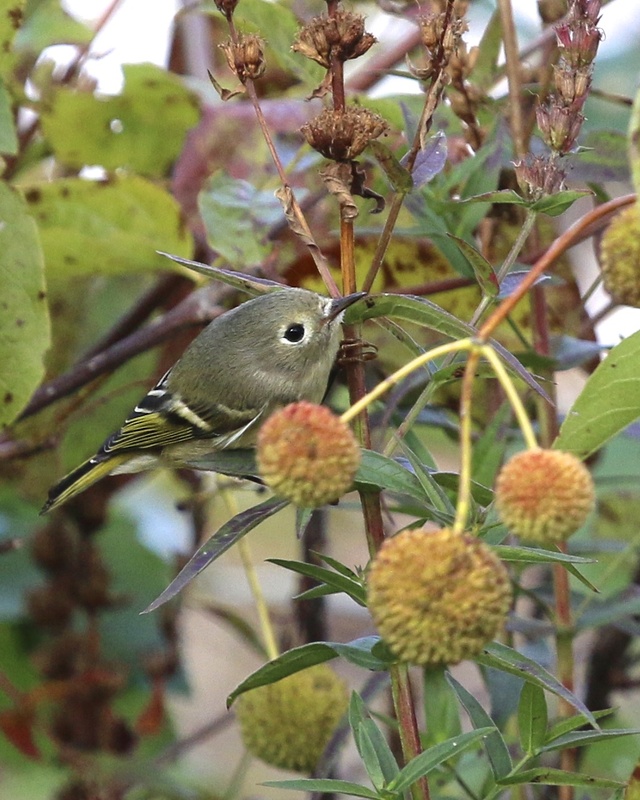 The Golden-crowned Kinglet was the first I’ve had this year, making it my 190th Orange County bird for the year, which is four more than I had all of last year. I had a pretty good day today at Mount Peter, at least compared to how dead it has been up there for the last week or so (the weather just hasn’t been cooperating!). 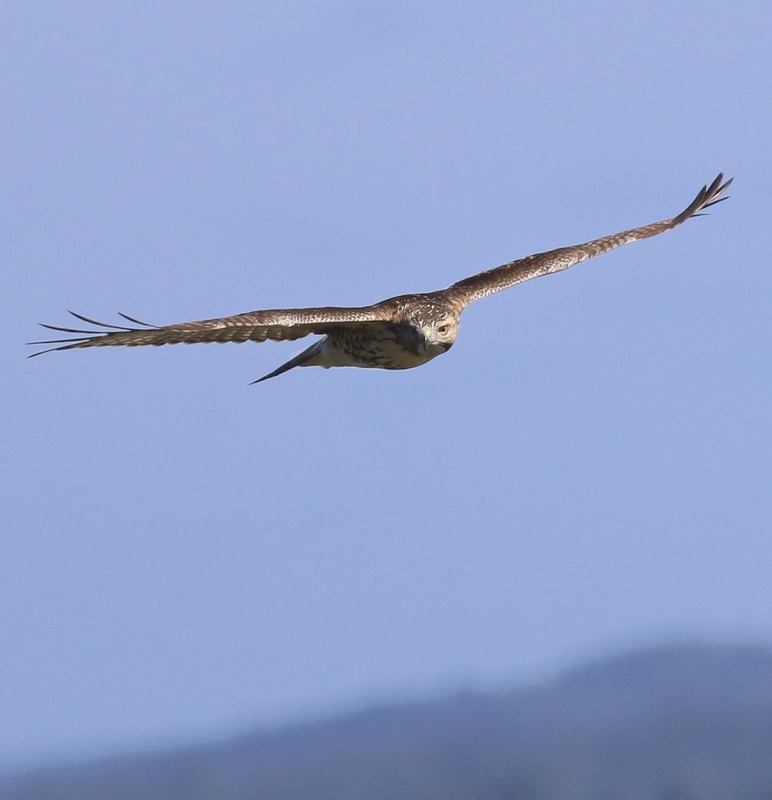 I had 46 migrating raptors, which was just enough to keep it interesting throughout the day. 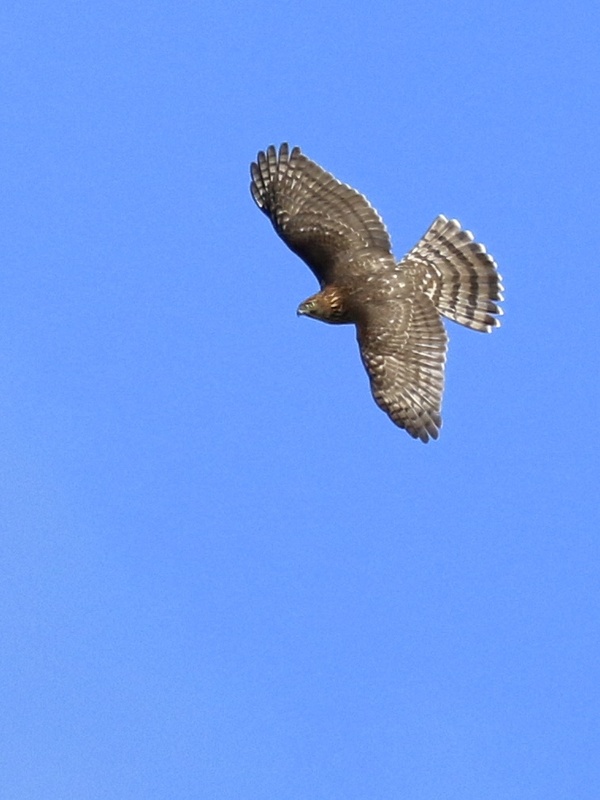 Raptor highlights included an immature Bald Eagle that flew over the valley heading southwest in the third hour of the watch, and the final bird of the day was an adult Peregrine Falcon that passed, very high, directly over the viewing platform. 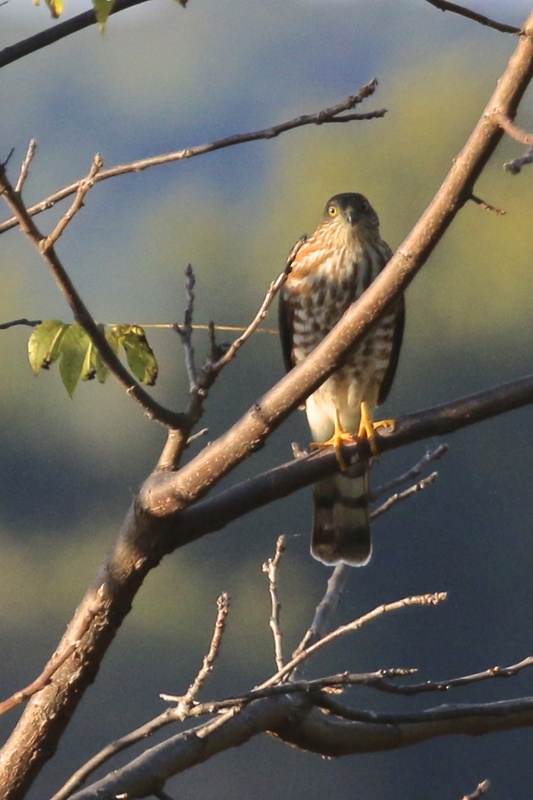 Sharp-shinned Hawks led the day with 28 being counted. Sunny with some clouds in the morning, then sunny and clear. Temperatures ranged from 11 to 17 degrees Celsius. 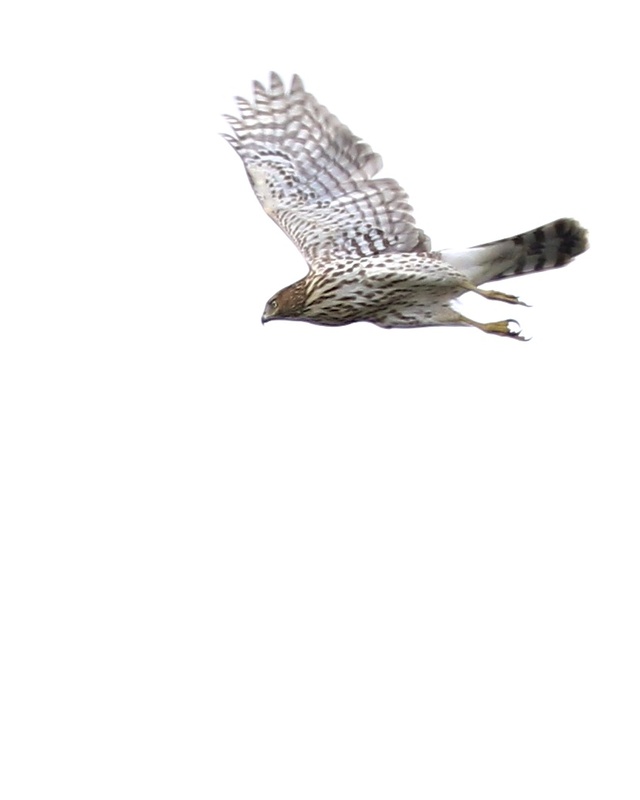 Migrating Raptors: One immature Bald Eagle, (1) immature Northern Harrier, (1) male Northern Harrier, (2) adult Red-shouldered Hawks, and (2) unknown American Kestrels. 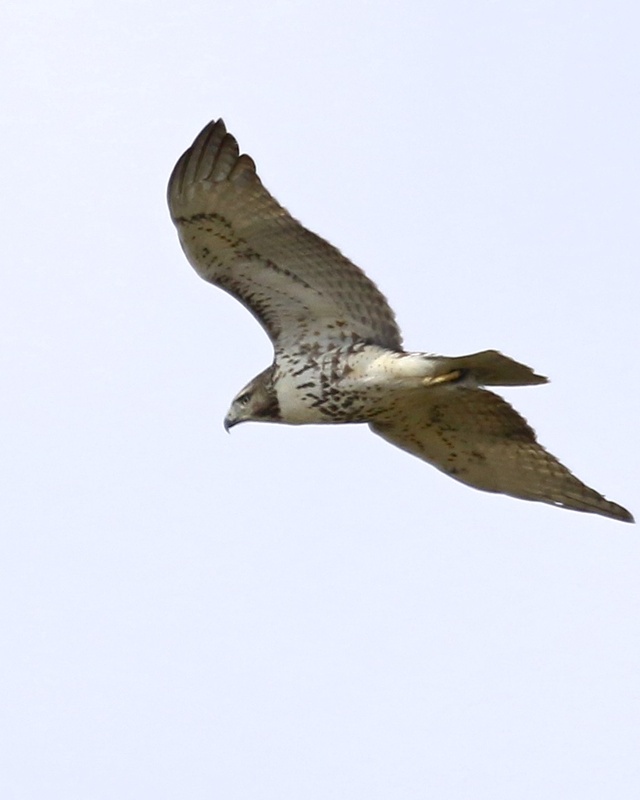 Non-migrating Raptors: One adult Bald Eagle flew north and One immature Bald Eagle headed east. Canada Goose (1,305), American Goldfinch (8), Hairy Woodpecker (1), Cedar Waxwing (35), Tufted Titmouse (4), Black-capped Chickadee (5), Common Raven (4), Red-bellied Woodpecker (2), Pileated Woodpecker (1), Yellow-rumped Warbler (4), Black-throated Green Warbler (2), Ruby-crowned Kinglet (2), Northern Cardinal (1), White-breasted Nuthatch (1), Blue Jay (9), American Crow (6). I was happy to finally get out to bird Warwick’s newest town park, Wickham Woodlands. For me, the best thing about the park is that it offers a good look at nearly all of Wickham Lake. My highlight was seeing 11 Ruddy Ducks that were present on the lake, my first of the season. Scanning the lake, I also had many Mallards, Canada Geese, a dozen Ring-billed Gulls, 2 Belted Kingfishers, a Double-crested Cormorant, and an adult Bald Eagle. But as I wandered through the 50 acres that make up the park, I realized that it was quite birdy. I had easily over 20 Yellow-rumped Warblers, 4 Ruby-crowned Kinglets, several Eastern Bluebirds, and I got a nice look at a Pileated Woodpecker as it flew across the lake. Nice night of birding! 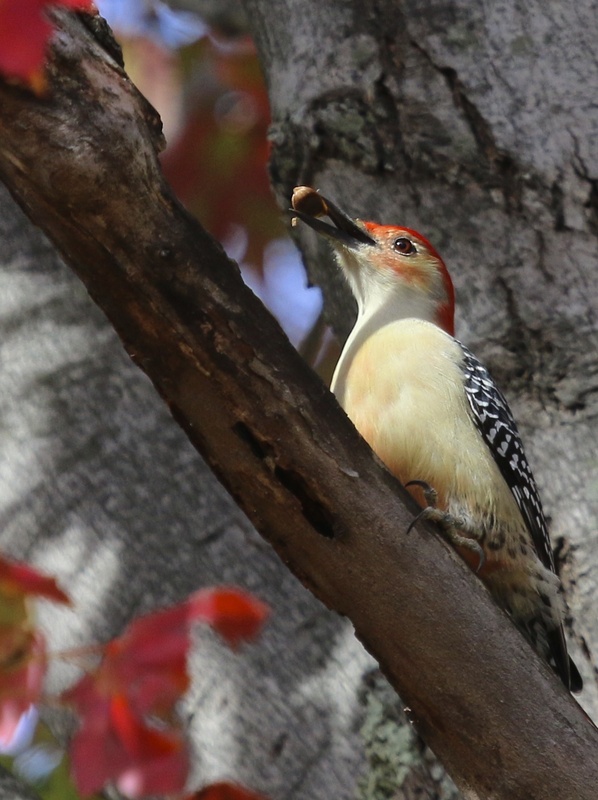 If it wasn’t for Kyle Dudgeon’s persistence, we would have missed a lot of good birds. 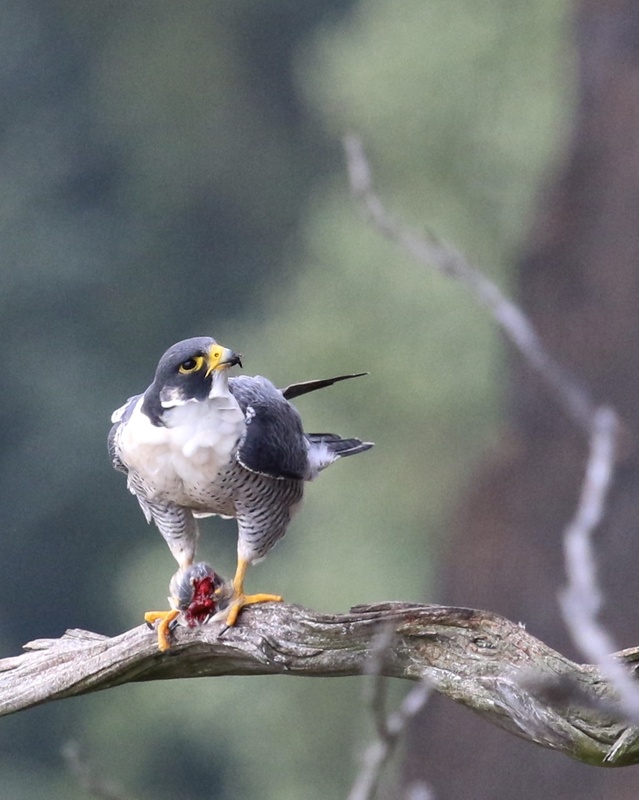 We met up at 7:30 am and arrived around 8:15, just in time to catch one of the local Peregrine Falcons enjoying a meal at “the perch”. We had many good birds early on, including several Bald Eagles, but the lighting was pretty bad; all the early photos in this post have a stark white background. 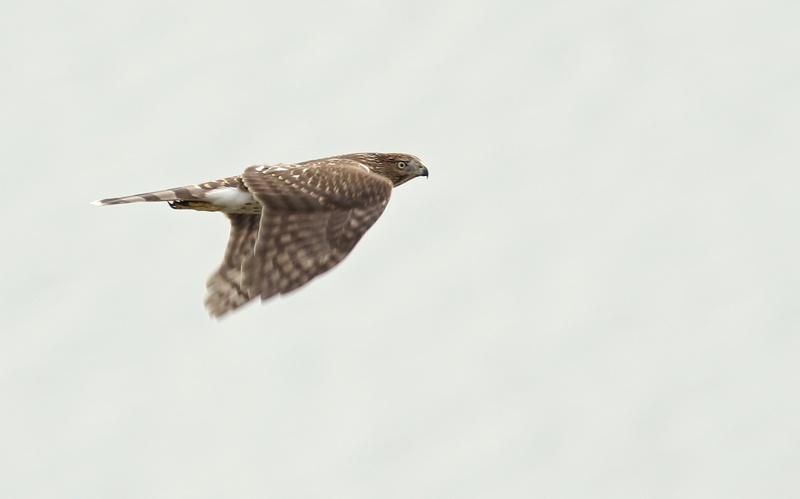 I haven’t shot hawks in flight for an extended period of time like this in a while and I definitely felt rusty. I was having a hard time keeping up with the birds (and camera settings! 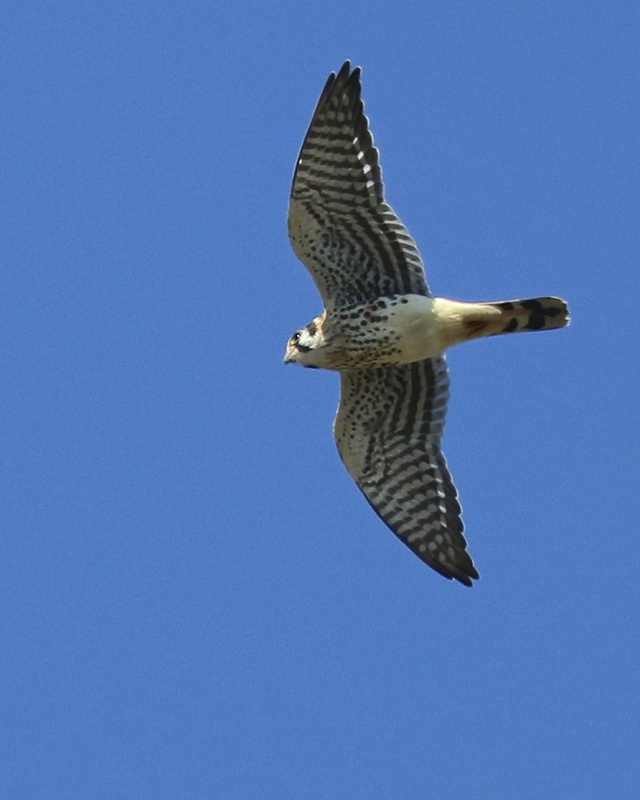 ), particularly the Peregrines which move so fast it’s incredible. I managed to get some good shots, but really I felt like I could have done better; that many opportunities had slipped by. I guess that will motivate me for the next outing. We were joined by Jill Homcy and then a little later on by Maria Loukeris. 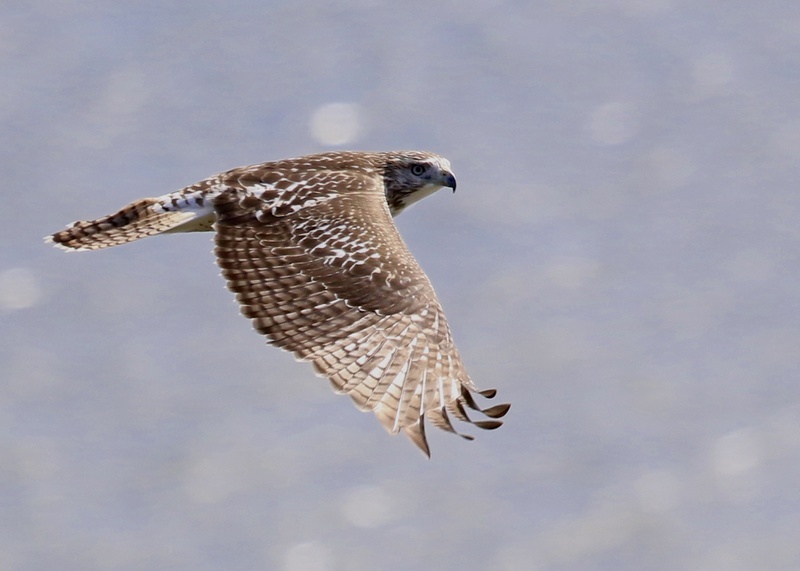 We all enjoyed a good mix of local raptors (Peregrine Falcons, Bald Eagles, Red-tailed Hawks, and Osprey) and migrating raptors which were lead by Osprey (35), followed by a tie between two accipiters Sharp-shinned Hawks (28) and Cooper’s Hawks (28). 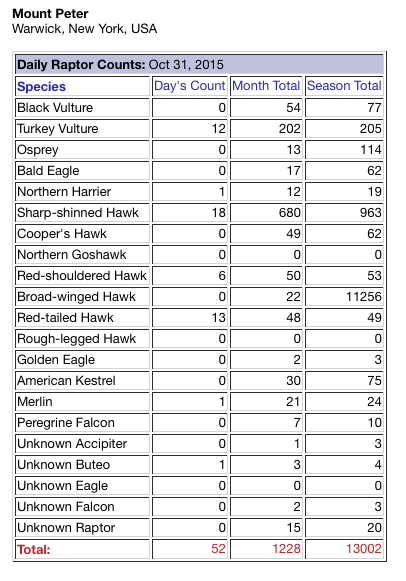 I felt like they must have been having a pretty good day for migration, I checked when I got home and according the Hawkcount.org, the total count for the day at State Line Lookout was 121 migrating raptors. 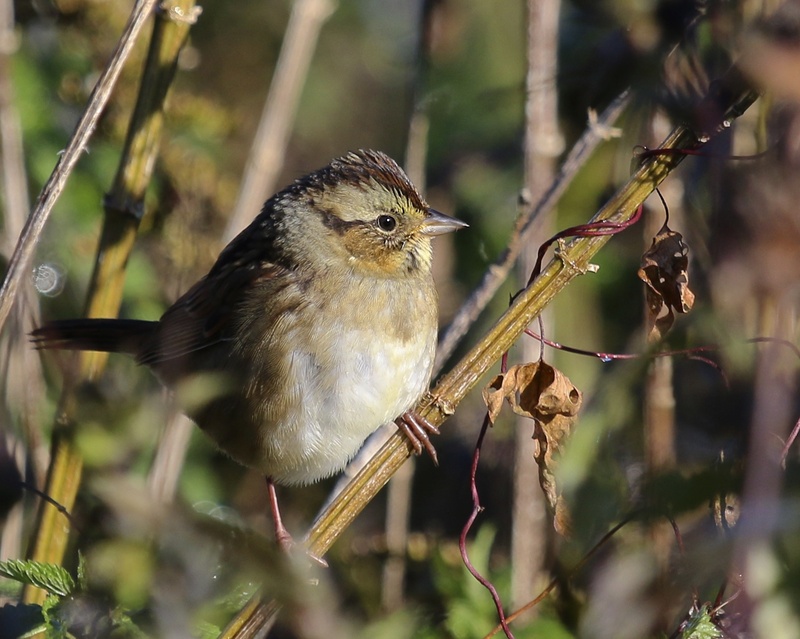 It was a really enjoyable day for me, with good company and plenty of super birds to photograph.